Tag Archives: intitut du corps. Aix en Provence is a great town known for all ages and states of minds. 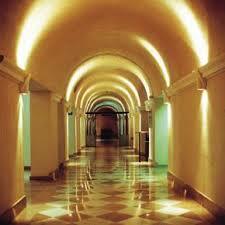 It is a chic and contemporary , save for its elegant 17th and 18th-century setting. Its tree-lined avenues, stately hotels particuliers , graceful fountains and exquisitely detailed facades have long inspired artists and writers. Both Cezanne and Emile Zola lived here, and visitors can follow in their footsteps via themed walks organized by the tourist office. Aix is also a place where cultures have collided and then under the calming influence of the sun, settled down to live peacefully. It 130,000 citizens are a true unusually diverse mix . Want to see Muslim and Christian communities thrive side by side , come to Aix en Provence. The history of the town is diverse too, with Celtic–Ligurians, Greeks and Teutons all making their mark before the Romans settled in and embellished Aix with monuments. The Romans found the waters in the shadow of the Sainte Victoire mountain restorative, and those thermal waters are still in vogue today. Where to eat in Aix. Les deux freres is a popular restaurant, 37 Place des Tanneurs, it was previously hidden away but moved now to a more accessible location. Locals like it very much for the warmth of the welcome as for the quality of the cuisine. Closed on Sunday; also Monday October – June. Le Petit Zinc d’Hugo, 22 rue Lieutaud. 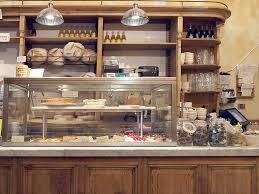 Is a great bistro founded by Hugo, a former sommelier, cheerful and very knowledgeable. A nice place to avoid the crowds and enjoy an eclectic selection of wines. Closed Monday and Sunday. Mitch. is a new restaurant opposite Les Deux Freres, located at 26 rue des Tanneurs has started to be on the locals radar. The Fideua is a catalan pasta paella with aioli sauce. Open for dinner only. Closed Wednesday in winter. Le clos de la Violette. 10 Avenue de La Violette. Is the only two Michelin starred restaurant in town. The restaurant has also a story that goes with it and revealed by la grande Dame of Aix gastronomy could only be true. President Francois Mitterand booked the whole place and then insisted that the cutlery was not up to the standard food, so flew down the Elysee silver, true or false? if true the atmosphere is not up to the cooking. You decide!. Closed on Sunday; also lunch on Monday & Wednesday. Where to drink in Aix. 53 cours Mirabeau. Once a hang out for Cezanne, Zola and their chums. 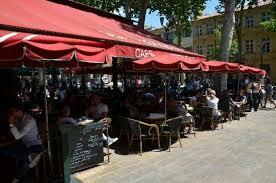 This Cafe is a stop in Aix. Le Grillon, 49 cours Mirabeau is a local rival to les deux garcons , with better service. Cafe Bastide du cours. 43-47 cours Mirabeau.is where young Aix hangs out. The interior is Costes style and very cosy. 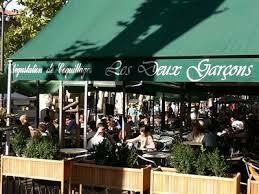 You can eat here too as at Les deux garcons and Le Grillon. If you want to stay for the night you can rent a room because there four nice rooms on the upper floor. 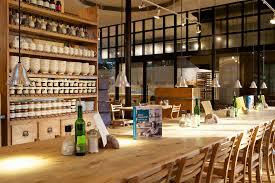 Le Pain Quotidien is a rustic-chic Belgian cafe/store, 5 Place Richelme. Is a good spot from which to enjoy the market and wonder whether you need the Lavender honey or the goat cheese. Thermes Sextius, 55 cours Sextius, http://www.thermes sextius.com .Offers mud wraps,steam baths, zen massages and Provencal peels ( with Camargue salt and essential oils). You can always lounge by the pool in a fluffy bathrobe and enjoy the sun. The Institut du Corps, 5 rue Clemenceau, http://www.institut-du-corps.com. Is hidden behind a doorway on a side street off Cours Mirabeau. You can treat yourself to a pre-dinner hamman or to a reflexology session. Next What to visit Museums in Aix.